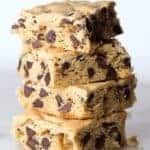 Gluten-Free Chocolate Chip Cookie Bars are easy to make. Loaded with chocolate chips! 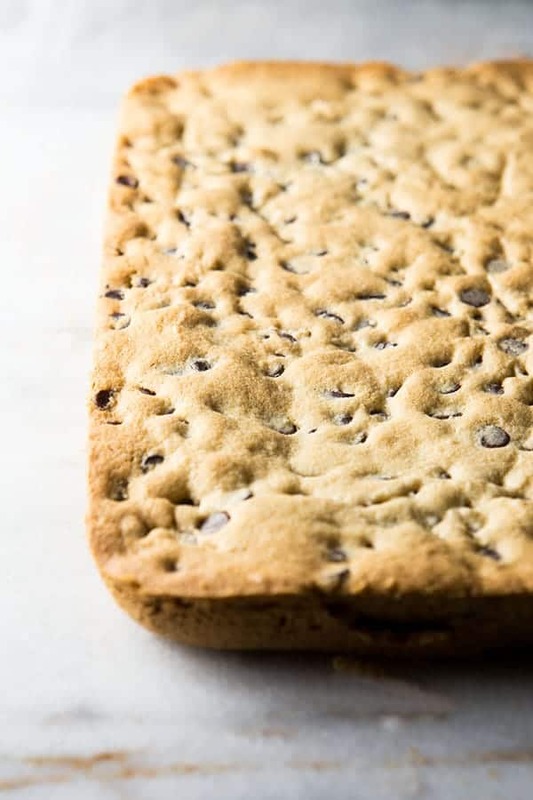 How much do you love gluten-free chocolate chip cookies? SO MUCH, right? 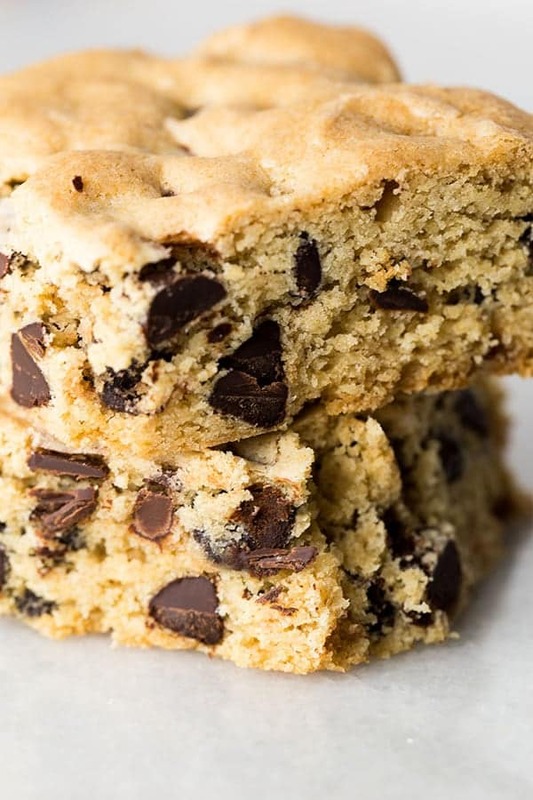 And how about chocolate chip cookie bars? So, yeah, chocolate chip cookie bars and I go back. Way back. Preheat Your Oven. The dough doesn’t need to chill. Get that oven heating while you make the dough. Prep Your Pan. The success of these bars starts with the pan. You need a 9×13-inch pan. I used a glass pan but a metal pan works fine. Just be sure it’s at least 2-inches thick. 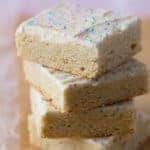 You don’t want a thin jelly roll pan for these bars. Pick Your Flour Blend. I really like either Bob’s Red Mill Gluten-Free Baking Flour or a homemade blend that contains xanthan gum. If you prefer a different blend, use one with xanthan gum, or add 1/2 teaspoon to the recipe. Make the Dough. Cream together the butter (or dairy-free margarine), sugars, and eggs in a large bowl. 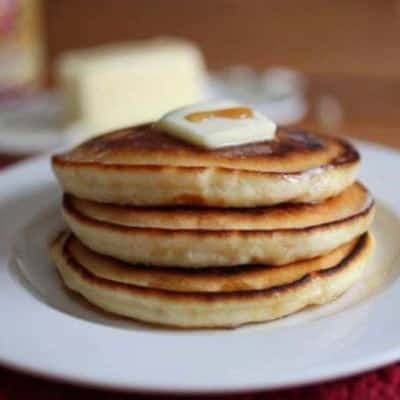 Make sure the butter-sugar mixture is thick and smooth. Then add the remaining ingredients, leaving out the chocolate chips for a second. Mix until a thick dough forms. This only takes a minute or so. Add the Chocolate Chips. I usually stir these in with a wooden spoon. This prevents the chocolate chips from breaking, which can happen with an electric mixer. But the wooden spoon step is totally optional. Spread the Dough Into the Pan. You want to press the dough evenly into the pan. Take a second to make sure the edges aren’t too thin. Bake until golden brown. These bars turn a light golden brown when done. If you’re unsure about whether or not they’ve baked enough, stick a cake tester in the center. It should come out clean. Cool and Cut. This is the hardest step. But you really do want to allow the bars to cool before you cut ’em. That’s it! From mixing to cooling, gluten-free chocolate chip cookie bars usually take me under an hour to make. And I love that about them. Because, sometimes you need a cookie, fast. Remember when I said that these bars are great for celebrations? I wasn’t kidding. Mix up a small batch of vanilla buttercream frosting, or buy a gluten-free tube or two at the store, and go to town. Frost the entire top or just write “Happy Birthday” on it. It makes a great “cake” for folks who don’t love cake. 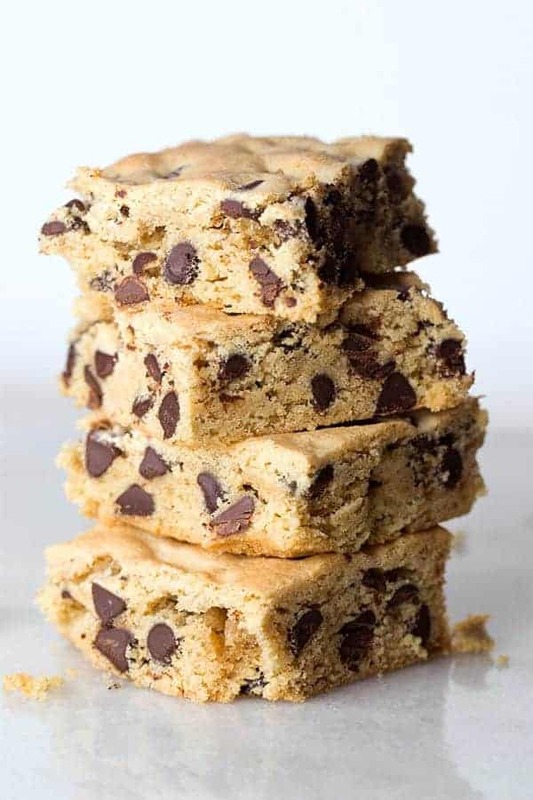 Gluten-Free Chocolate Chip Cookies Bars. Easy-to-Make. Great with nuts or without. Preheat oven to 350 degrees F. Spray a 9x13 pan with nonstick cooking spray. 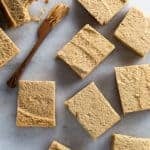 Beat together butter, brown sugar, and granulated sugar until thick, about 30 seconds. Add eggs and vanilla extract. Beat until fluffy. 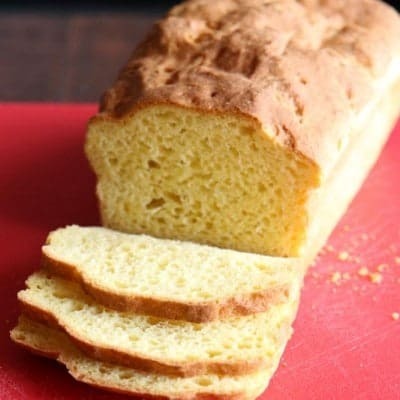 Add gluten-free flour, baking soda, and salt. Mix until a thick batter forms. Stir in chocolate chips. Spread batter evenly into prepared pan. 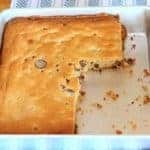 Bake until golden brown, a cake tester inserted into the center of the pan should come out clean, about 30 minutes. Remove pan from oven. Allow to cool in the pan. Cut into bars. 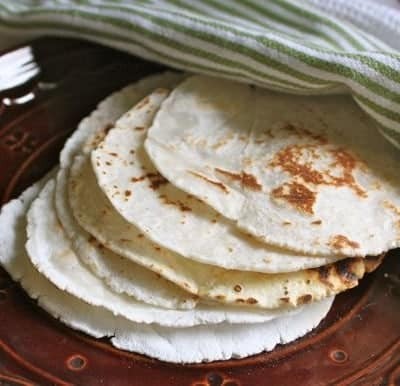 To store: wrap tightly and keep at room temperature for up to three days or freeze for up to 2 months. 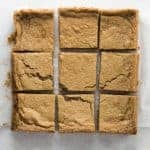 I made this with 1/3 cup less brown sugar, only because I don’t like overly sweet cookies and copious brown sugar tends to make them that way. I used Cup4Cup flour from Williams-Sonoma. The taste of the bars was good, but the texture…I was not a fan of it. I like a dense cookie, not cakey; these were springy, cakey bars. Just not my cup of tea, but if you’re a cakey cookie fan, these should fit the bill!